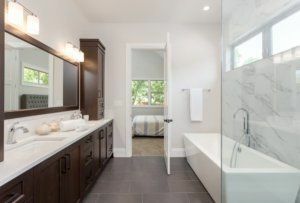 Deciding to move forward with a master bathroom remodeling project can improve the appearance of your home, add beneficial features to your bathroom as well as increase the overall value of your property. There area number of factors to consider when developing your ideal master bathroom. Based on your specific needs and personal preferences, our bathroom remodeling contractors can help you determine the most appropriate dimensions for your master bathroom. As part of the initial process, we evaluate your master bedroom, consider your master bathroom size preferences and then conduct measurements to establish which angles and dimensions would most effectively maximize the available space in the area. Republic West Remodeling will help you design the layout of your ideal master bathroom. Many factors are considered when determining the layout, including the size or dimensions of the area and the various features you want to include. 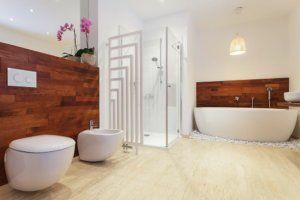 Our bathroom remodeling experts will collaborate with you to determine where to incorporate each feature, and suggest a design layout that would be best for your functioning needs and aesthetic preferences. 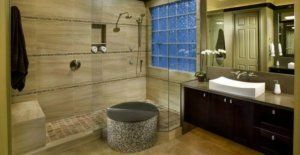 As part of the bathroom remodel planning and design process, you can also determine which materials you would like for your master bathroom. 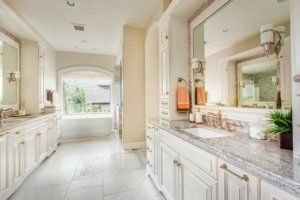 For example, some homeowners enjoy using natural stone for the floor, countertopsand walls of a master bathroom – a great way to add an elegant beauty and luxurious ambiance to the entire space. Our bathroom remodeling experts can incorporate specific design details and elements into your master bathroom remodeling project. For instance, perhaps you would like to include a long countertop accompanied with double sinks so you and your partner can each use a sink at the same time. Or, maybe you would like numerous shelves and cabinets installed along the walls of the master bathroom and beneath the countertop. These cabinets can provide you with sufficient space to organize and store all of your beauty supplies and towels. 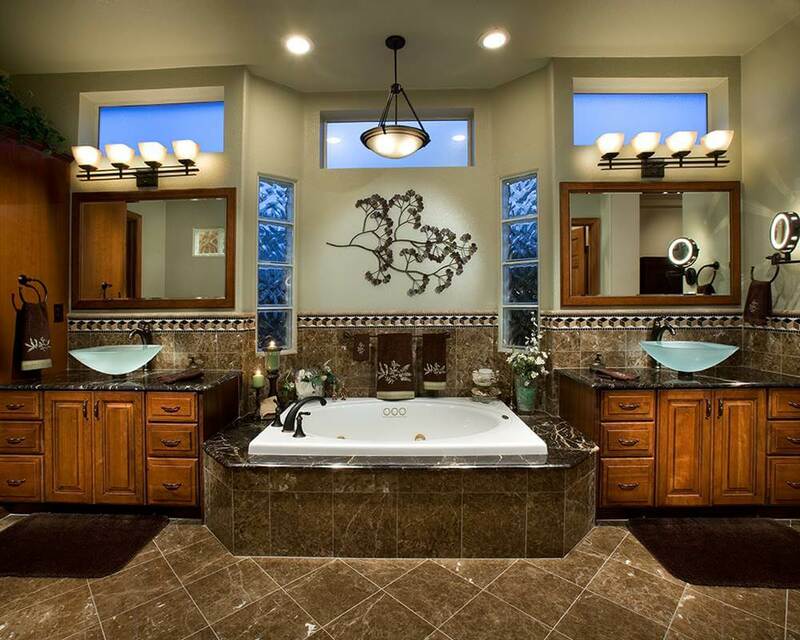 Contact Republic West Remodeling to handle any of your master bathroom remodeling needs. We have been honing our process for more than 18 years in business in the Phoenix and Scottsdale areas. We provide full bathroom remodeling services using the best products on the market, and we would be happy to design and install a master bathroom that can maximize the beauty and value of your home. Have a question? Ready to take the next step? Schedule your free, no-obligation consultation with one of our master bathroom remodeling contractors today.